In Brisbane, The Gold Coast and through most of Queensland spring is a good time to plant bamboo. It is important to look at varieties that are suited to the sub tropical to tropical climate before you do plant. For example many of the Himalayan bamboos do not perform that well in Brisbane unless they are planted in a cool shaded position. Clumping bamboos are the most widely used, and even with these some gardeners prefer to put in a root barrier. A number of species are widely used in Queensland including Dendrocalamus minor var amoenus or ‘Ghost Bamboo’ and the ever popular Bambusa textilis gracilis. We like ‘China Gold’, Bambusa eutuldoides var viridi-vittata with its wonderful yellow culms. Most supplier can provide plants as potted specimens in a range of pot sizes, bamboo is also sold bare rooted offsets, the culms are cut back and the plants are sold ready to plant for spring growth. Along with those mentioned, here are our top five bamboos for Brisbane, it will depend an the application as to which one is the best for you. China Gold – Very tough with golden canes, will reach around 8 – 10 metres in height. Gracilis – Very tough species, fast growing and reaches around 10 metres. Gold stripe – Ornamental canes, will reach 4 metres and good for pots. Oldhamii – Tall growing screening bamboo to 10 – 12 metres. Chinese Dwarf – To meters and good in containers. 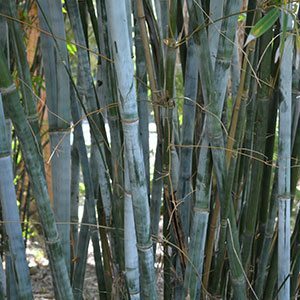 Listed are specialist bamboo suppliers of running, clumping and dwarf bamboo, including Black and Giant Bamboo species for screening and landscaping as well as ornamental bamboo for growing in pots and containers, supplying Brisbane, QLD and the Gold Coast. We sell a range of clumping and running bamboos, for landscaping, windbreaks, screens, timber and edible shoots. We also sell herbs chillis and ornamentals.